This years DesignCamp at Designschool Kolding is about welfare and how citizens could live a better life. DesignCamp2014 zooms furthermore in on the possibility of businesses to ”Sidestep” into the welfare industry. The Camp will run from Monday the 29th of September to Friday the 10th of October 2014 – and include a one day conference, a two-day design course for design practitioners and a two-week student Camp. A great potential for design with an empathic approach to led the way into new business potential. Four years ago I attended my first DesignCamp as a design management student in Kolding. And this was a watershed for my future design career. I met Professor of Design Hilary Dalke from Kingston University in London – and listened to her talk about Design for Dementia which touched me deeply. Two years after I graduated from Kingston University with a degree in MA Design; Health & Well-being – and a lot wiser on how to practice design with an empathic approach. 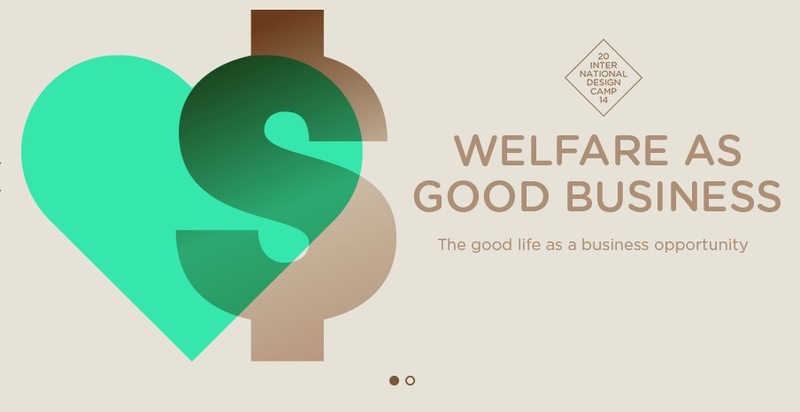 It therefore seems more obvious than ever – to build a DesignCamp around welfare as good business. The reason why is the opportunities in empathic design for new product develop. But this might seem easier, than it is. While I was writing my Masters Thesis in Design Management I identified several managerial issues of practicing design with an empathic approach. The research led to findings of new design methods to implement in a company or organization. And empathy is indeed needed if you want to design products or services for users with special needs! What I learned by writing my Masters Thesis in design management and as a student at Kingston University’s MA in Design Health & Well-being is that the practice of design with an empathic approach includes several skills and plays a multifaceted role. This furthermore appear in design processes that iterate, not only in time, but also across levels of abstraction. I therefore concluded in my thesis that designing with an empathic approach is an experimental process – and therefore needs design management to stay on track. I therefore developed a set of criteria for others to be aware of. An empathic design process takes time to organize, practice, evaluate and plan. Developing an empathic design policy can be a way of approaching an organization to successfully embed the approach. An experience-based problem solving approach can be a driver of the design process. A design manager has to be aware of the importance of visual documentation of all information. To foster prototypes of “empathic tools” and letting users and shareholders participate in the design process. To effectively manage the practice of empathic design – a solution can be to plan the work – and then work the plan. I developed these criteria to set up a framework for situating the place of the user, to be at the centre of the process, when an organization wants to establish an efficient and effective work method. The focus should not only be growth and benefitting the welfare industry for new business, but see the user as the benefitted to new product development. Wanna read more? Have a look at my profile page.